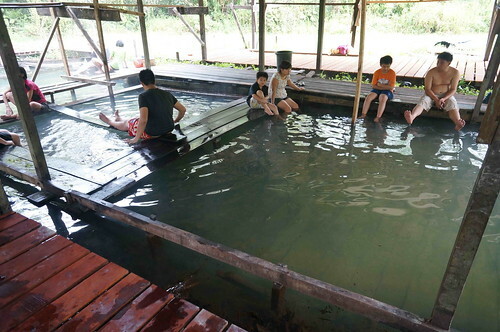 I AM THE BORNEO EXPLORER 婆罗洲探险者: Where is the Pancor Hotspring @ Kuching, Serian Road? 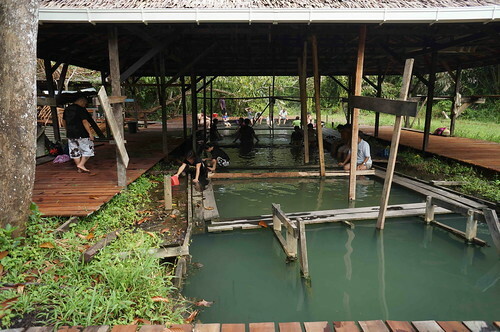 Where is the Pancor Hotspring @ Kuching, Serian Road? Sorry for my sleepy face :) but I've work up around 5am that morning, waited for my friend to pick me up at 5.30am. At first they told me that we're going to the hotspring. 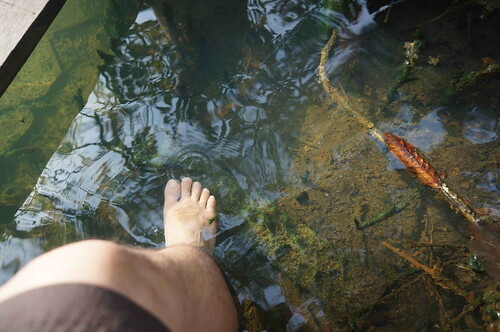 So I tough, I've been to the hotspring before, and it doesn't take that long to reach, why we have to go so early? Then, saw my friend drive pass the junction to the Annah Raise Hotspring, and keep on driving all the way to the Kuching-Serian road. And we drive pass the Siburan Village (17 Mile), then Pass the Beratok Village (21st Mile), and pass the Tapah Village (22nd Mile). Then he took a left turn into the Dragon School (aka College Tun Abdul Razak) at Tapah Village (22nd Mile Kuching Serian Road). And then, we drive again for another 10 - 15 min, and I saw signboard saying "Pancor Hotspring", then we turn right, again, and follow the signboard again. And finally we reach our destination. 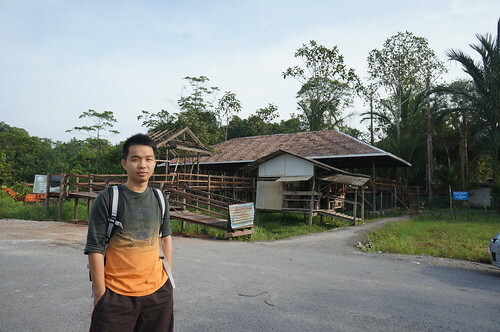 This is my first visit to the Pancor Horspring, and is so near to my grandma hose at Tapah Village. Next time I can come here to deep my leg before visiting grandma. Entrance for each person is RM3. They have toilet, changing room. And I also notice they are building a huge hall on the entrance. 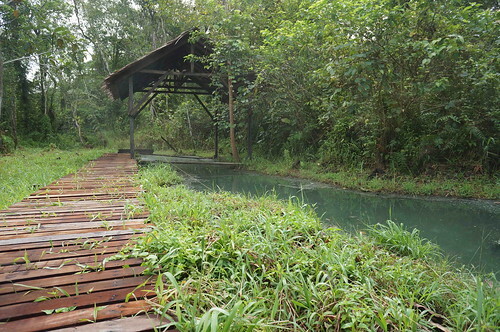 The whole place is like a pond, which have static water. Yeah, static water. Everyone will deep inside the hotspring. My fiend told me that not to worry about hygiene, cause the water is hot, and it will kill all the bacteria. But for me, I will still prefer to deep my leg only. Whereas my friends, they all choose to deep the whole body into the hotspring pond. We are lucky that day, cause is a hazy day, so although the sun is already high up in the sky, we still not feel that hot. I also check out the other site of the place, the water here are all static. Can see a lot of algae, the water here is not hot but is normal cold. Still unable to find any fish swimming around here. Maybe is too dirty. This place has a potential to become a good tourist attraction, am so proud of Kuching, it is really a hidden treasure. Hi Wilson,thanks for your kind blog post which guide us to a glad place! Hi, no problem glad you like it.